Detail Comments: These are coupled with plated universal hose ends or male x female NPSM (straight pipe thread) as indicated. Any "non-stock" assemblies can be made up from our bulk inventory. For "crimped on" ends, use a "C" as a suffix. 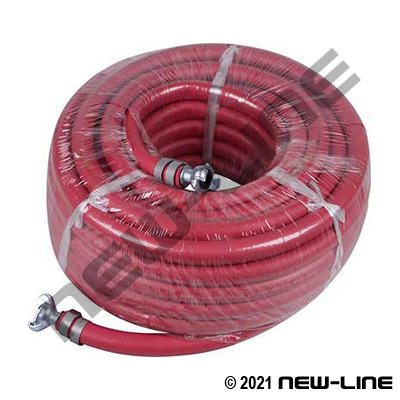 Please see our water hose section for information on garden hose assemblies.